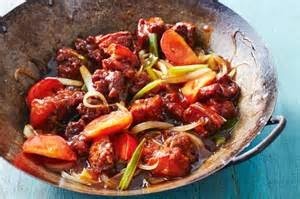 The supermarkets and butchers have some good deals on pork at the moment, so you can do no better than to try a Sweet and Sour Pork dish for dinner this week. 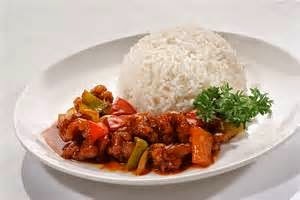 For those non pork eaters, this dish can easily be made with chicken or prawns. It's quick and easy so here goes! Heat the oil in a wok or large frying pan until really hot. 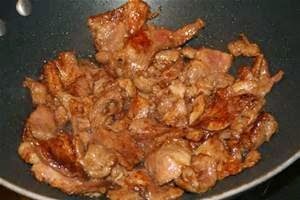 Add the pork and onions and stir-fry over a high heat for about 2 minutes. Add the tomato, cucumber, pepper and pineapple and stir-fry for another 3 minutes. 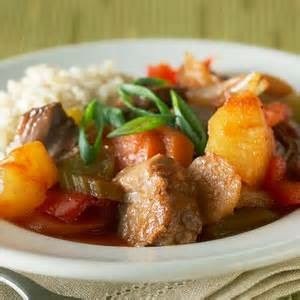 Add the sweet-and-sour sauce, mix well, stirring constantly for 1 minute. Dish up with rice or noodles.